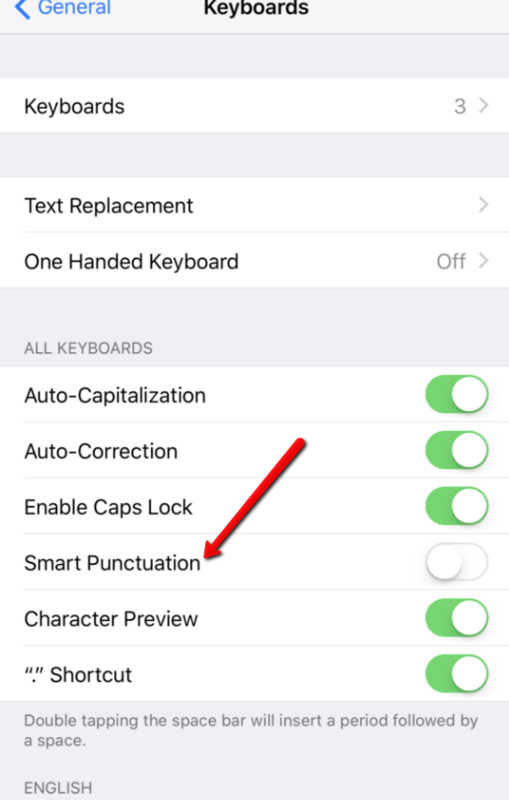 If you often send text messages from your iPhone using the mobile app or Text Launch by Phone you might want to consider turning off your "Smart Punctuation" to help prevent your text messages from being sent with special characters or from being cut off too soon. If your contacts report receiving characters like, "Δ¿s Δ¿t", in place of your original message, you will want to follow the steps below. 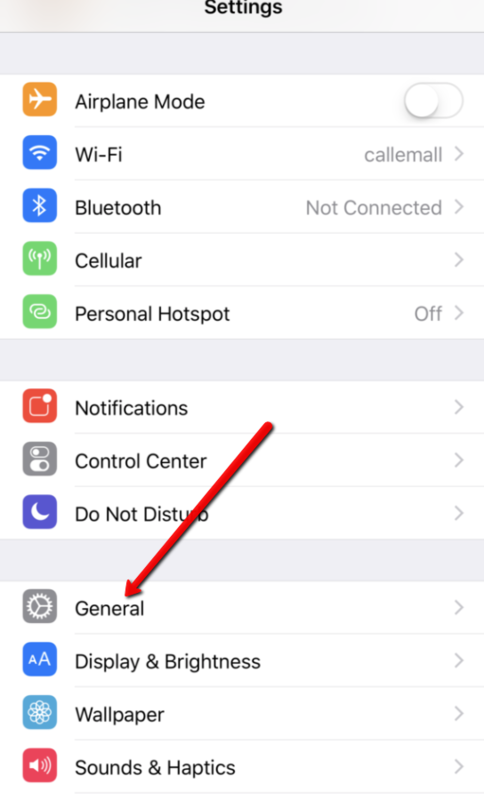 You will want to go to your iPhone's settings. Then, click on "General". 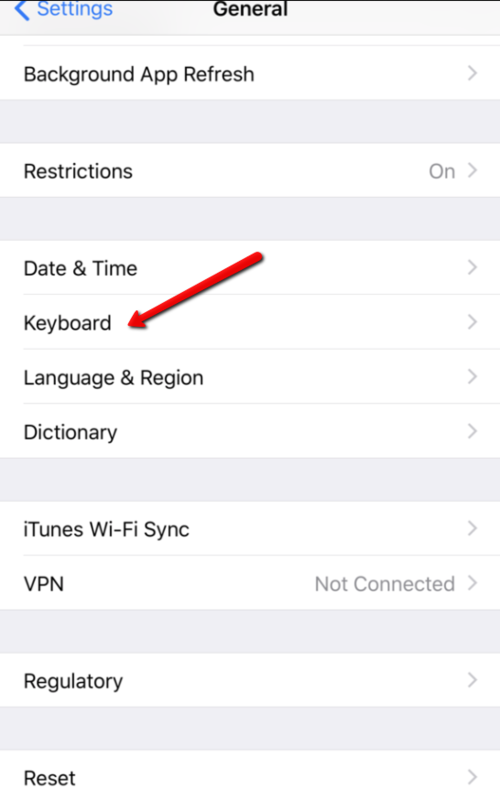 From there you will click on "Keyboard" and then turn off "Smart Punctuation". Please see the screen shots below to help you locate these areas.